The Numark HF125 multi-purpose headphones provide semi-pro-level users with an incredible performance unheard of in this price category. They feature an ultra-wide frequency response, high dynamic range, a high-resolution capsule with a comfortable headband. Considering purchasing the Numark HF125 Headphones? Have questions? Ask people who've recently bought one. Do you own the Numark HF125 Headphones? Why not write a review based on your experience with it. Perfect earphones to attach to Alesis drum pads. For the price these are a bargain, they do the job well and are comfortable. Overall a really nice set of headphones. Perfect as a base level headphone. Ideal for mixing in a live environment. Absolutely brilliant for the price. Sturdy, all. Round decent . new design for the numark hf 125 headphones great for beginners if mixing or just listening to music I now have a few pairs of these at home mainly as a spare pair tho. Supplied with my Pioneer setup. Have my own headphones for Djing but still appreciated this none the less. Thanks! Not bad headphone for the price. Much louder than I was expecting. Good for a bedroom DJ but i wouldn't advise playing out with them. 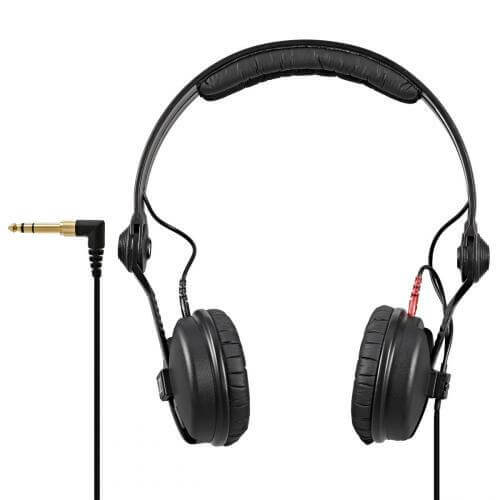 I own 3 pairs of these headphones and they are excellent for the price. Don't expect exceptional quality from these, however they are perfect for mixing; especially if you are on a budget! They wont take too much bashing about and the ear cushions will start wearing out quickly with excessive use. Good set of headphones. They’re ok. No worse than any other headphone in this price range.. suitable for beginners. wasn't expecting to want to use these for long but they are actually really good. for the price you definitely can't go wrong. Very good for the price they are but would recommend splashing out & getting yourself ones with better sound quality. You get what you pay for. Good for someone starting on a small budget. Seen a video for Numark HF125 Headphones online or have you own video? Check out Numark HF125 Headphones on DJkit.com!